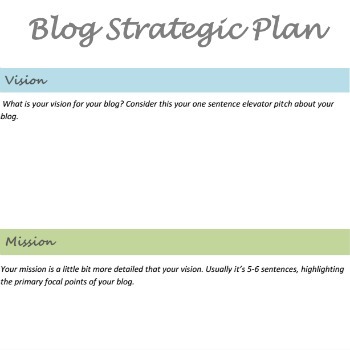 Have you written a strategic plan for your blog? Today I’m sharing the template I created for my own strategic plan. 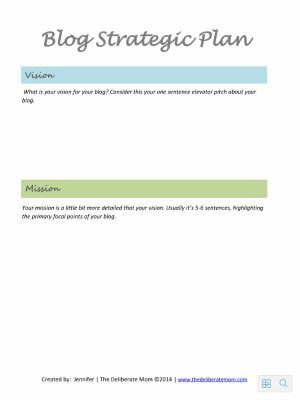 Feel free to download and use my 10 page template to develop a plan for your own blog. The download button is at the end of this post. With some strategic planning, you can make your blog grow into what you’ve always dreamed it could be! Want to make your blog grow? 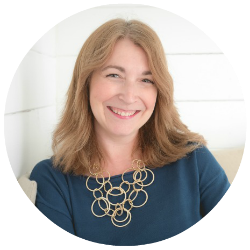 Have you written a blog strategic plan yet? Download this printable and write your strategic plan today! 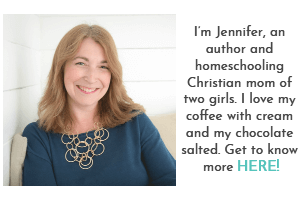 Thanks for sharing this – I’m just getting started with my blog and need a strategic plan! I’m so glad you found this helpful Clare. Hopefully this series on blogging will offer you a few resources and tips to help you build your blog! Thanks for visiting! Eating this up, Jennifer! Super helpful! I am so glad you enjoyed this Laura. Hopefully it helps with your own journey! This is so great Jennifer. I’d never thought to do a SWOT analysis, but it definitely makes sense. I’m starting this today! Awesome Tiffany! I’m so glad you found this useful! I found the SWOT analysis to be especially insightful. In general, the strategic plan has really helped focus the direction of my blog. I hope it’s helpful to you as well. I hope you’re having a lovely weekend too. You are so good. I have to sit down and read this with more than half a brain (the other half is talking to my kids right now). I probably need to have a bit more planning involved in my blogging, too. Have a great night! I’m glad you enjoyed this Mia! I hope that it’s helpful in your own blogging journey! Ok, there. I’m not Loose Arrow any more–yay! Fabulous resources! You took all that’s been bouncing around in my head and neatly packaged it, for which I’m grateful. Wrap it up, slap a ribbon on it! This is a gift. I am so thrilled that you found this useful Robin! May it bless you in your own blog building journey. I’ve never thought to do this but I love the idea! I know that writing things down helps me clear my mind and focus on what I actually want to accomplish so this totally makes sense. Thanks for sharing your template with us! I’m so pleased that you enjoyed this Jessica. I hope you benefit from the planning template! I think a lot of us write without necessarily know where we going, and maybe it changes over time too. This is definitely a good exercise! My blog has definitely evolved to the point where I think I know where I am going, and it would be a good time for me to do something like this. (But I think we should probably be doing this at least once a year). Many thanks! You are so very welcome Michelle! I plan on doing my strategic plan annually. I think it’s critical to have a plan and focus. Thanks for visiting! I actually had no plans and have no idea where I’m going with mine right now. I’m at the point where I want to quit because I feel so burnt out. You may have noticed that I’m not on much these days because I’ve been contemplating leaving the blogging world. This is a great planning template and have tweeted so others can get their own as well. Blogging definitely has its ups and downs. Praying you find direction right now. Thanks for sharing this resource… your generosity is greatly appreciated. It never hurts to revisit your blog strategy periodically to see if you’re sticking to the plan or need to revise it. As always, you offer fab resources. I’m stunned at how much this has helped me. I hope it helps others too! I love that I was able to share the planning template with everyone. Hi Carolann! Thanks so much for stopping by! I’m glad you enjoyed this and I’m thrilled to hear you’ll be using the strategic planning kit. I hope it helps you in your blog building journey. I’m so glad you found this helpful Tammy! I hope it helps you out on your own blog building journey! Wishing you a lovely day too. This is a great resource. Thanks for sharing it! Pinned & tweeted. I am so pleased that you like this resource Lisa! I hope it helps you in your journey of growing your own blog! Thanks for sharing! What a great document, Jennifer! I love it and I’m printing it right now. I’m thrilled you like it and will be using it Gabby! I hope it helps you in your blog building journey! This is wonderful. I should go back to setting strategic plans for my blog and stick to it. You’ve been featured at Pin It Monday Hop. Now that I have done the planning, I can’t imagine not doing it. Planning gives me direction and a lot more focus. Thanks for featuring this post! Thanks so much for stopping by! I’m glad you enjoyed this and I hope it helps you in your own blog planning journey. Great idea, I’ve never though to do a plan, more of a hobby. But time to think long term, great advice! You’re right, if you’re blogging as a hobby, a plan isn’t necessary. However, if you’re wanting to grow your readership or monetize your blog, you’ll want to have a plan. Thanks for stopping by Kristen. I love anything that makes me think of more effective strategies for my blog. If it’s printable, that’s even better! Before I started this new blog, I actually spent nearly six months turning ideas in my heading, writing things down, and eliminating things as I went along. Of course, the best way to tell the true direction your blog will go is after it’s open to the blogosphere and you begin writing. It’s the only true way to tell for sure. Great tips and information. Thank you so much! I’m glad you enjoyed this Laurali. I think it’s great you spent time planning for your blog before you jumped in (at times I wished I had done that). Thanks for stopping by! Love this! Thank you so much for putting this together. I’ve used this kind of planning before but have never thought use it for my blog. Time to get on track! You are so very welcome Carolann! I too am very familiar with strategic planning… I’m stunned that it took me so long to bridge the concept over to my blog… but I’m glad that I did! I’m so glad you enjoyed this Kyomm! I hope you find it helpful. I love strategic planning (especially when it involves fun things like blogging or a project I’m excited about). If you need to pick my brain, feel free to shoot me an e-mail anytime. Love when SITS posts helpful tips for blogging! I especially liked that you refer back to your plan to ensure what you’re working on fits into your goals and has a purpose. Thanks for sharing your form! You are so very welcome Daidri. I love my strategic plan. It really keeps me focused and on task. Thanks for stopping by. It’s always nice to meet another SITS blogging buddy. I am so glad you enjoyed this. I find that wherever we are in our blogging journey, whether we’re new or veterans, it’s a good idea to have a plan to adhere to. Thanks for stopping by! Thank you for sharing this tip. I need to plan more for my blog. You’re very welcome Patricia! I hope it helps you in your own blog building journey! Thanks so much for visiting! I’ve been blogging for a while; but am finding that I need to drill down and focus. I think this will help a lot–thanks for the printable! You’re very welcome Ann. This planning kit will definitely help you find that focus. Thanks for visiting! I do this too! I am a pen and paper person but I’ll dowloas the printable anyway. Good article.. much needed. Congrats on your SITS day. Well Aysh, you could always take the pen to the printable. Glad you enjoyed this and thanks for visiting. Very helpful information. Right up my alley–I love planning and organizing. And blogging! Jotted a few notes to myself and will “hit it hard” when I get back from my sabbatical…. Feel free to check out my blog: http://www.TitusTwoFriends.blogspot.com & on Facebook. I’d love any suggestions you may have. Hi Deb! Thank you for visiting! I am thrilled that you find this helpful. May it make your own blog building journey more manageable! I’ll make sure to pop by and visit you too. Hey Jen, useful post! It’s my first time on your blog and you provide some really useful posts. Well, I usually plan mine and I always my notebook with me to jot down ideas. And it actually helps me to stay on track. I am thrilled you enjoyed this Pauline! Thanks for stopping by! Thanks so much Phil! I’m delighted that you enjoyed this and I really encourage you to do strategic planning as well. Thanks for visiting! Great idea, I’m already trying to set my blog planning and now I certainly will work on the stategies I want to apply! Thanks a lot for taking the time to share this! I’m delighted you enjoyed this. 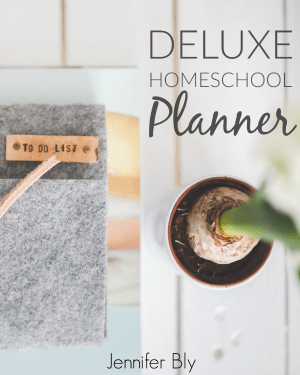 I think the printable will really assist you in your planning journey. Thanks for stopping by! Thank you for sharing this! Definitely adding it to the next ultimate blogging resource list update! I loved creating (and following ) my strategic plan. I think every blogger should have one. Thanks for adding it to your next ultimate blogging resource update… that page is THE best! I found this post via the bloggy linkup over at Lisa Kerr’s blog. 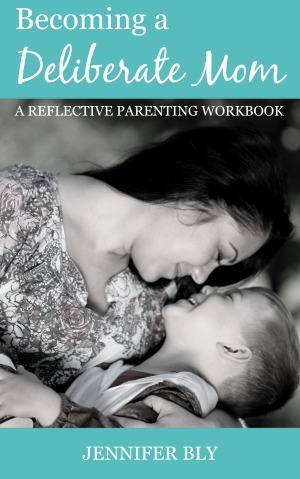 Great resource and fab timing because I’m just in the middle of updating my strategy! I’m so excited that this will be of use to you! Thanks for stopping by and good luck with your strategic planning!